Whew! 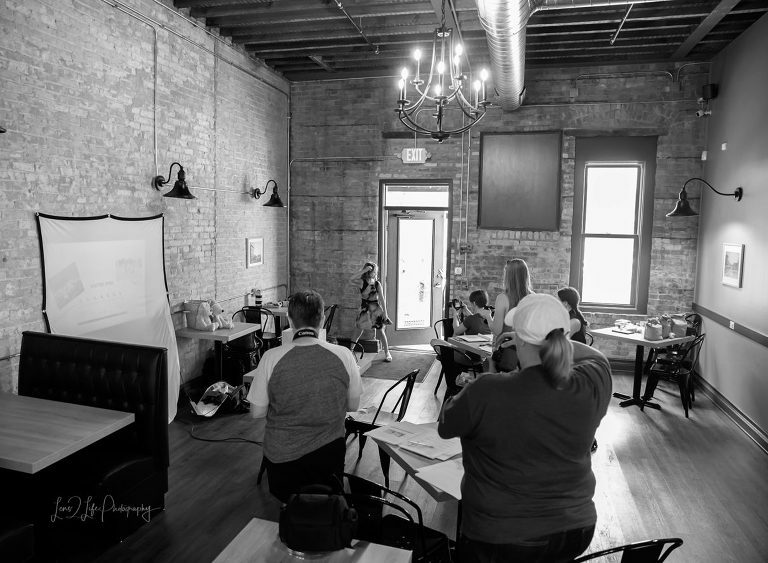 My first digital photography workshop for beginners that was held at Craft Donuts & Coffee in Dundee, IL was a success. I am so proud of my participants! I threw a lot of information their way and within 2 hours, everyone was shooting manually. That’s not easy, but these ladies were great students! 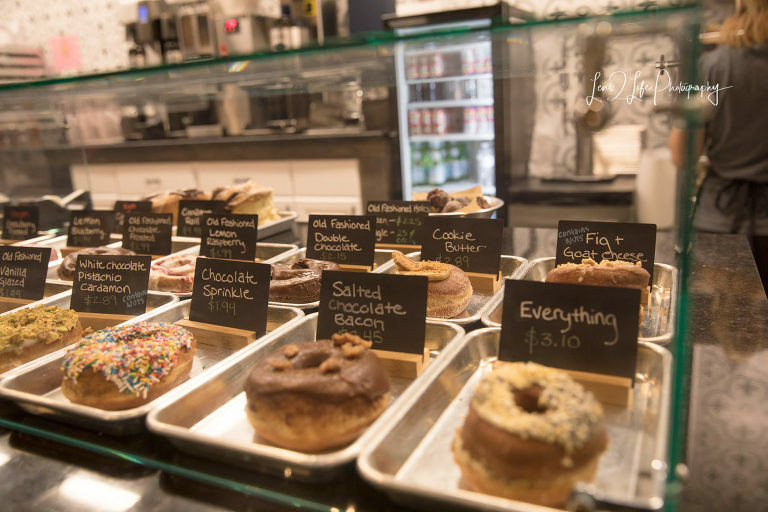 I cannot thank Craft Donuts & Coffee enough for working with me to make sure the participants had the donuts of their choice ready to go. They do sell out, so we planned ahead! Not to mention, they were amazing hosts and allowed us to move things around and use their space for the workshop. 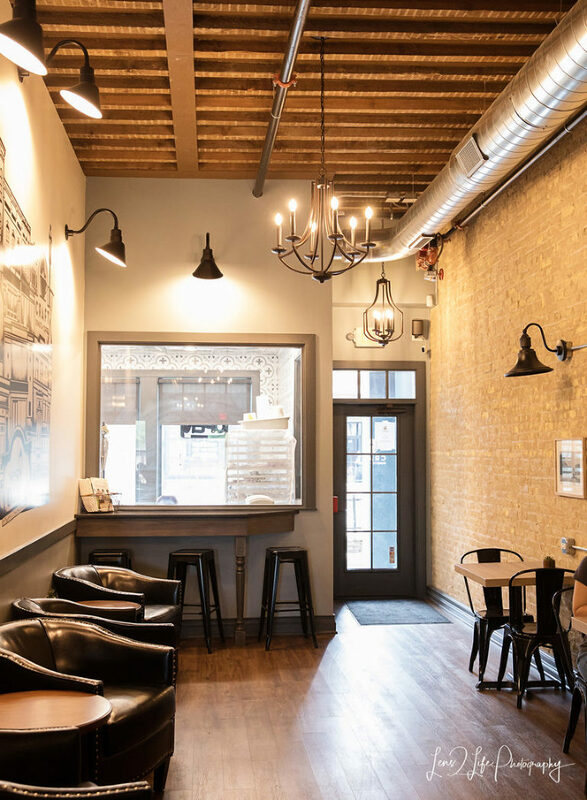 If you haven’t been there, you must try them out! The workshop was 3 hours and went by so fast. A wonderful L2LP client agreed to bring her triplets so the workshop participants could practice their new skills outside in historic Dundee at the end of the workshop. This trio is not only adorable (they are among my favorite little clients), well-behaved, but I felt they would give the participants an experience typical of photographing their own littles. And they did just that! I’m experimenting with the date of the next workshop. It will be held on Tuesday, July 10th. I wanted to see if there would be interest for a time that is during the week. 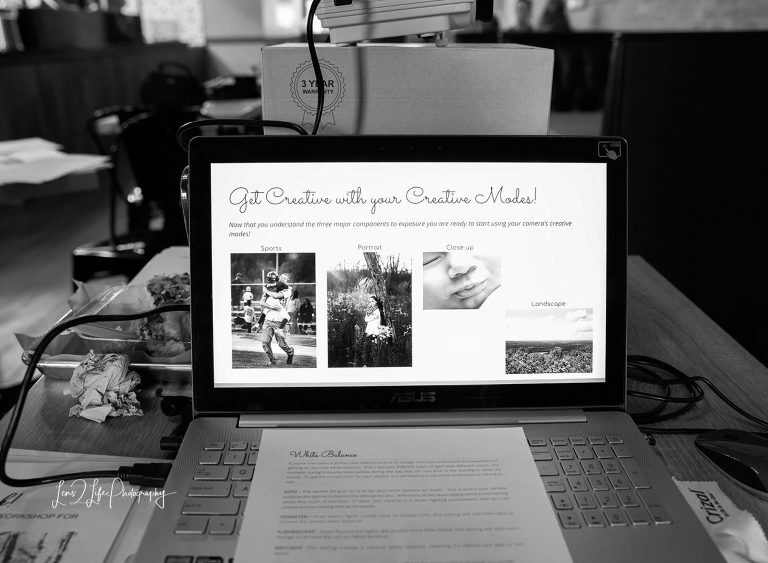 If you are interested in the workshop and have a group that would like to participate at a different time, please do not hesitate to contact me: shannon@lens2lifephotography.com Also, I have had some interest in classes for middle to high school aged kiddos. If you are interested in having your child participate in a workshop that is designed for this age group and your child has a DSLR camera, please let me know!